The NYBBS cornet section in action. THE sun is shining in Norway - what a beautiful country! Owen Pickering, Lucy Kerr and Gavin Johnson - all members of Campbeltown Brass - then joined Mark to discuss progress so far. 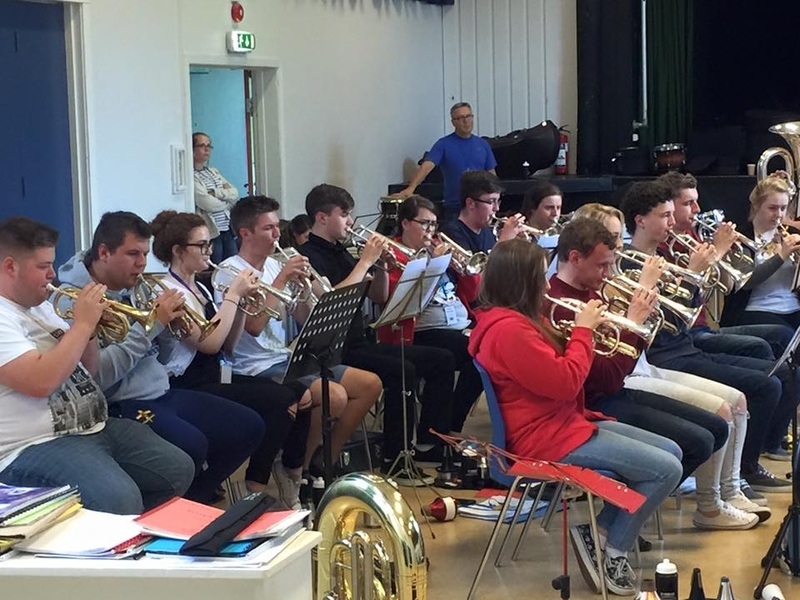 NYBBS received a special visit from Viggo Bjørge, vice chairman and band manager of Eikanger Bjørsvik. He addressed members in rehearsal before an exchange of gifts took place with SBBA president, Carrie Boax. Helping ensure the trip goes well from the Norwegian end is Yamaha Artist, Eirik Gjerdevik. The tuba star spoke of his pride at welcoming friend Russell Gray and NYBBS to Norway.